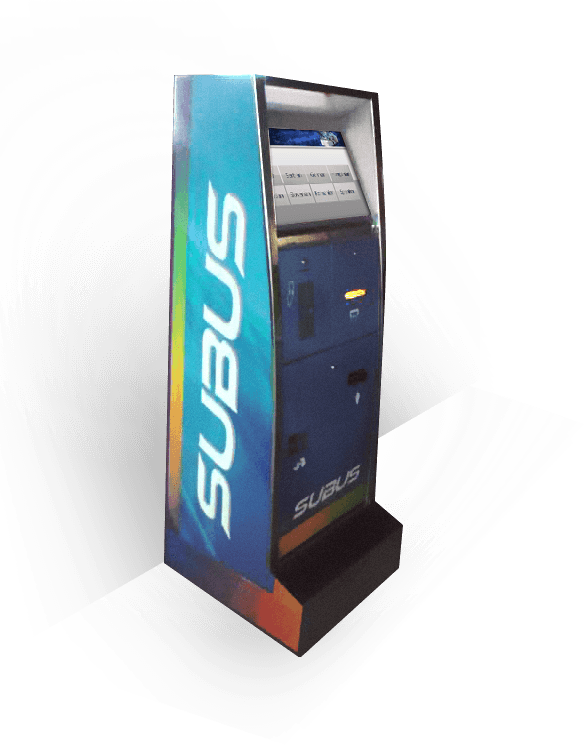 BusLogic Automatic Kiosk - is the next generation of automatic machines for ticket sale at bus stations or stops . This machine is designed for passengers who wish to make a purchase of: reservations , tickets, credit supplements or get information about schedules , ticket prices or the position of vehicles while waiting at the bus station or bus stop. The machine itself has a large 19” touch screen which allows passengers easily choose the functions described above. The BL Kiosk is equipped with a banknote acceptor, coin acceptor, and a place provided for the insertion of electronic tickets, as well as the printer for printing paper tickets and bills. The machine has the ability to accept all types of paper banknotes or coins . If required, the Kiosk can return the change in all denominations of paper banknotes or coins. Automatic kiosk may be used to supplement the financial amounts on electronic wallet, depending on the amount of money inserted by the user. Automated Kiosk also provides opportunity for users to purchase the plastic electronic wallet cards, thanks to special section reserved for storing and issuing electronic Mifare card . The Kiosk can automatically issue relational tickets as follows : the user enters the start and end station, then selects the date of travel and the offered line, after that buys the tickets by inserting money in accordance with the amount requested. 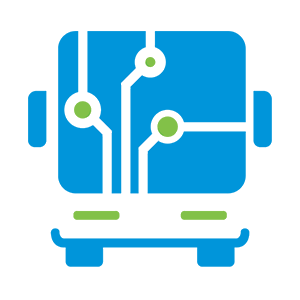 Also available is Service of passenger information presenting the position of the vehicles relative to the position where the machine is placed. This option is available to bus operators which are using BusLogic Ticketing System for vehicle monitoring. The machine itself can optionally contain a fast reader for paper baknotes but without ability to issue a change. If equipped with a slow reader for banknotes, it also has the option of returning the change.